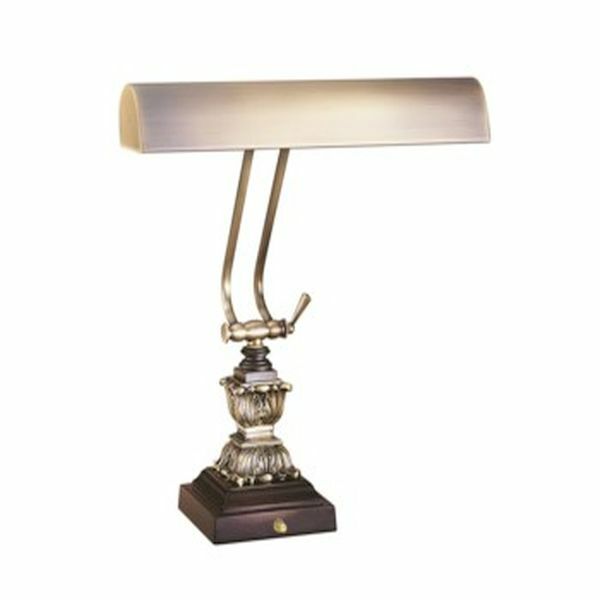 Beautiful House of Troy piano lamp has a square base and comes in a Antique Brass Finish. The 14" shade accomodates two 40W or 60W Bulbs. HEIGHT....Adjusts from 0" to 14-3/4"